After reviewing the written reasons given by the Trial Chamber Majority for acquitting Vojislav Šešelj of all charges, my Office has decided to appeal the Judgement. Given the far reaching nature of the errors we have identified in the Majority Judgement, we underscore for the victims of the crimes that the forthcoming appeal is of utmost priority for this Office. As we will explain in more detail in our forthcoming notice of appeal, we consider there has been a fundamental failure by the Majority to perform its judicial function. The Majority has omitted to properly adjudicate core aspects of the Prosecution’s case, including by: failing to consider large parts of the evidentiary record; failing to provide proper reasons for its conclusions; failing to properly apply the ‘beyond reasonable doubt’ standard; failing to consider the charges against Vojislav Šešelj in light of the pervasive pattern of crimes proved; failing to distinguish between the ultimate political objective pursued by the joint criminal enterprise members and the criminal means employed to achieve it; making unreasonable and conflicting factual findings; and failing to properly apply the elements of modes of liability such as joint criminal enterprise and aiding and abetting in accordance with established case-law. At the same time, we consider that the Majority unreasonably allowed for the possibility that criminal conduct was simply a lawful contribution to the war effort, despite the overwhelming body of evidence pointing against it. In our view, this led the Majority to unreasonably credit the possibility that: expelling civilians was a humanitarian gesture; that incendiary hate speech was simply morale boosting for the Serb forces; and that the deployment of ethnic cleansing forces was a measure to protect the Serb population. 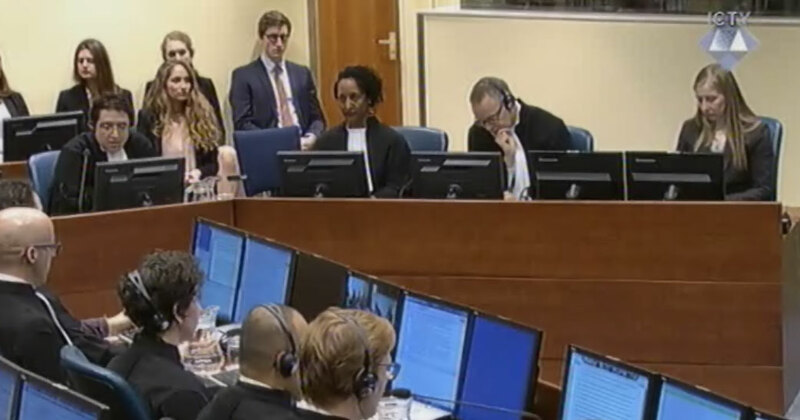 In sweeping disregard of the large number of crimes proved at trial the Majority concluded that there was no widespread or systematic attack against the civilian population in parts of Croatia and Bosnia and Herzegovina as required for crimes against humanity. As with all appeals filed by my Office, we will exert maximum effort to ensure that our appeal in the Vojislav Šešelj case is litigated efficiently, effectively and fairly in accordance with the prescribed appeals process of the Mechanism for International Criminal Tribunals.